SINGLE coat stain system that is easy to apply, offers lasting beauty and a 5 Year Limited Warranty. 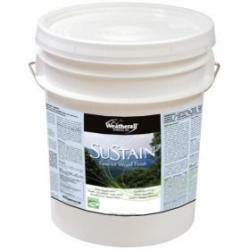 SuSTAIN is a premium semi-transparent penetrating oil based stain developed for use on new wood or over existing oil based finishes. There is no better choice to beautify and protect your wood.